My Comments: Medicare is a critical element for retired Americans. These statistics are not jaw-dropping but re-affirm our need to be very careful about making changes to Medicare. I’m not convinced the folks in Congress have my best interests in mind when they talk about making changes. You’re probably aware that Medicare provides health coverage for seniors 65 and older. But did you know that Medicare has several distinct parts, each of which provides its own set of services? • Medicare Part A covers hospital visits and skilled nursing facilities. • Medicare Part B covers preventative services like doctor visits and diagnostic testing. • Medicare Part D covers prescription drugs. There’s also Part C, Medicare Advantage, that offers a host of additional services. Whether you’re approaching retirement or are many years away, here are a few key Medicare statistics you should be aware of. 1. There are 57 million Medicare enrollees in the U.S. A good 16% of the U.S. population is covered by Medicare, but it’s not just seniors who get to enroll. Younger Americans with disabilities are also eligible for coverage. 2. About 11 million people on Medicare are also covered by Medicaid. Though Medicare offers a wide array of health benefits for seniors, it doesn’t pay for everything. In fact, about 20% of Medicare enrollees rely on Medicaid to pay for services Medicare won’t cover, such as nursing home care. 3. Net Medicare spending totaled $588 billion in 2016. That’s about 15% of the federal budget. And that number is expected to rise to nearly 18% of the budget in about a decade’s time. 4. The standard Medicare Part B premium amount in 2017 is $134. Many people assume that Medicare enrollees don’t pay a premium to get coverage, but it isn’t true at all. While Part A is generally free for most seniors, Part B comes at an estimated cost of $134 per month. That number may also be higher depending on your income, or lower if you were collecting Social Security as of earlier this year and had your Part B premiums deducted directly from your benefits. 5. Poor health can be 2.5 times as expensive for Medicare enrollees. A 2014 report by the Kaiser Family Foundation (KFF) revealed that the typical Medicare enrollee who identified as being in poor health had out-of-pocket costs that totaled 2.5 times the amount healthier beneficiaries faced. This is just one reason it’s crucial for Medicare enrollees to capitalize on the program’s free preventative-care services. Catching medical issues early can often result in a world of savings. 6. A single hospital stay under Medicare can cost almost $4,500 out of pocket. Here’s some more discouraging news out of KFF. Back in 2010, Medicare enrollees who had a single hospital stay incurred $4,475, on average, in out-of-pocket costs. 7. Medicare enrollees 85 and older spend three times more on healthcare than those aged 65 to 7. It’s probably not shocking news that older seniors spend more money on medical care than those a decade or more their junior. But what may be surprising is just how much those 85 and over wind up spending. According to KFF, in 2010, Medicare enrollees 85 and older spent close to $6,000 to cover their healthcare needs. 8. In 2015, 243 medical professionals were charged with Medicare fraud. It’s not uncommon for members of the medical establishment to engage in Medicare fraud, whether it’s in the form of inflating bills, performing (and charging for) unnecessary procedures, or billing for services that were never rendered. The good news, however, is that officials are getting better at identifying and prosecuting Medicare fraud. In fact, in 2007, the Medicare Fraud Strike Force was created to put a stop to fraudulent activity that eats away at the program’s limited financial resources. 9. More than 17 million Americans are enrolled in a Medicare Advantage plan. 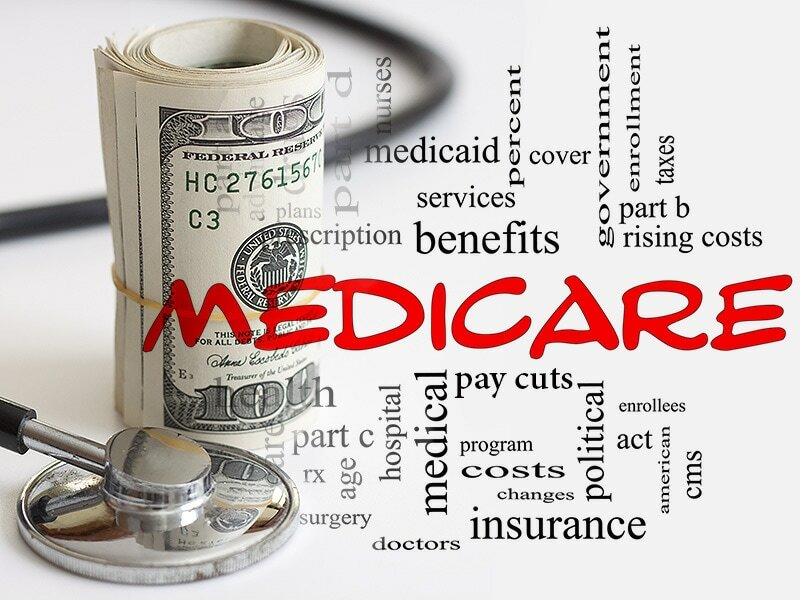 Medicare Advantage is an alternative to traditional Medicare that offers a number of key benefits, such as coverage for additional services (including dental and vision care) and limits on out-of-pocket spending. Between 1999 and 2016, 10 million Americans signed up for a Medicare Advantage plan, and enrollment now represents roughly 30% of the Medicare market on a whole. 10. A good 38% of Medicare funding comes from payroll taxes. Nobody likes paying taxes, but without them, Medicare simply wouldn’t have enough money to stay afloat. Currently, the Medicare tax rate is 2.9% for most workers (which, for salaried employees, is split down the middle between worker and employer), but higher earners making more than $200,000 a year pay an additional 0.9%. Getting educated about Medicare can help you make the most of this crucial health program. It pays to learn more about how Medicare works so that you can take full advantage when it’s your turn to start using those benefits.